’Tis the season for travel and one of the things that I struggle with the most while away is feeling like I never have the right bag for the occasion. Sometimes a girl needs a sassy clutch purse and other times she needs a comfy backpack for exploring all the better. 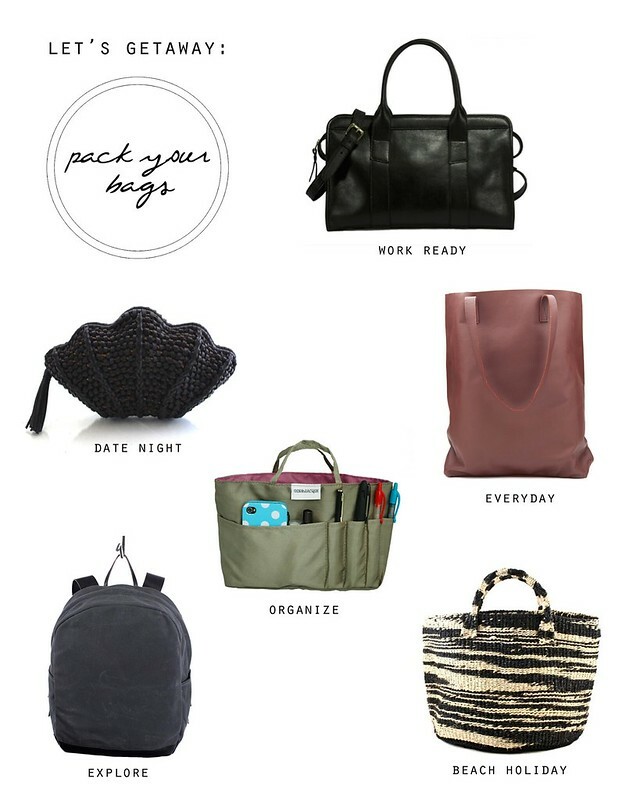 Whatever the reason for the getaway, these bags top my wishlist for always being prepared. And of course, a little organizational help from Gin & Jacqie, a Malaysian accessories company with a passion for traveling well and tidy. I've been having a lot of fun lately but it's time to really get back to work. There are a few new ventures that I'm prepping to launch this month (fingers crossed) and that means that I'll be spending a lot of extra time sitting at my desk. If I had the chance to decorate anew I would choose modern blacks, natural textures, and pops of inspirational colors and patterns. 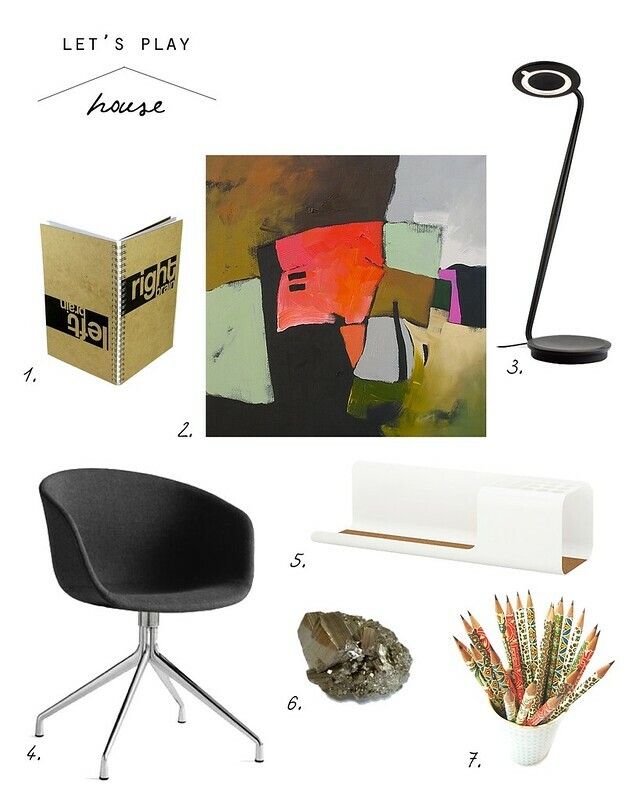 All three combined would make for a casually sophisticated and artful place - perfect for getting things done. What's your workspace style? As much as I love LA, my dream is to own a home in Palm Springs. I love the architecture, the slower pace of life, and the dry heat that makes my thick and wavy hair feel silky and flat. 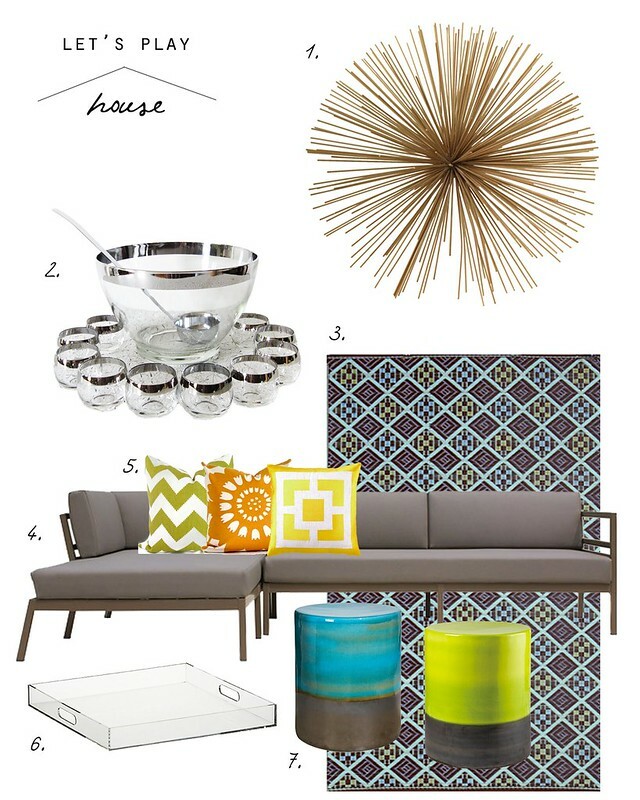 My home will have a fabulous backyard with a pool + lounge area and I'll always have my fabulous friends over for fabulous cocktails. I will go absolutely nuts decorating with a mix of vintage and modern pieces, making sure to pay homage to the structure of the house while still keeping things fresh. And yes, the house will of course be one of those iconic single story homes with perfectly balanced asymmetrical lines and no-fuss native landscaping. It will be fab-u-lous. Shall I fix you a drink? Last month I kicked off the new series Let's! 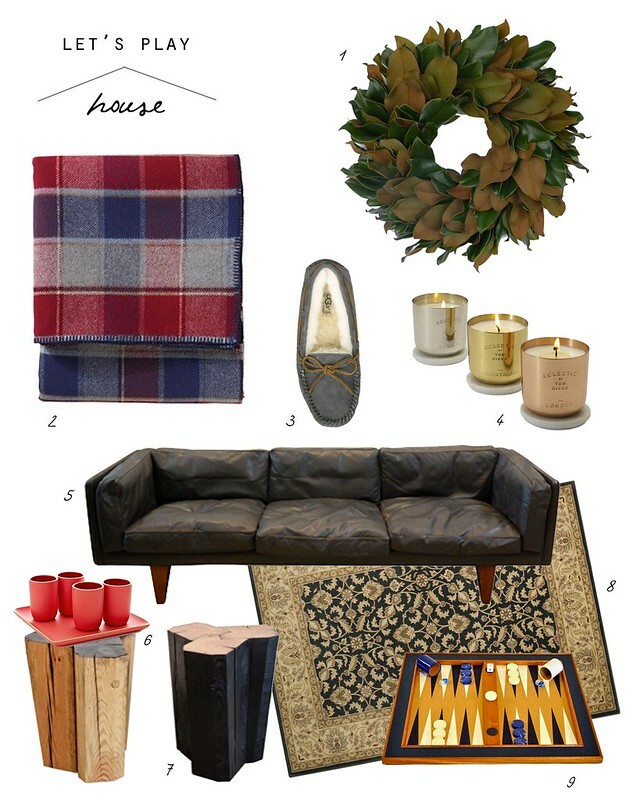 with a weekend escape outfit but today it's all about the home - it's so fun to play house! I keep finding myself gravitating to clean and interesting lines and mixing them with organic elements and pops of unexpected art. 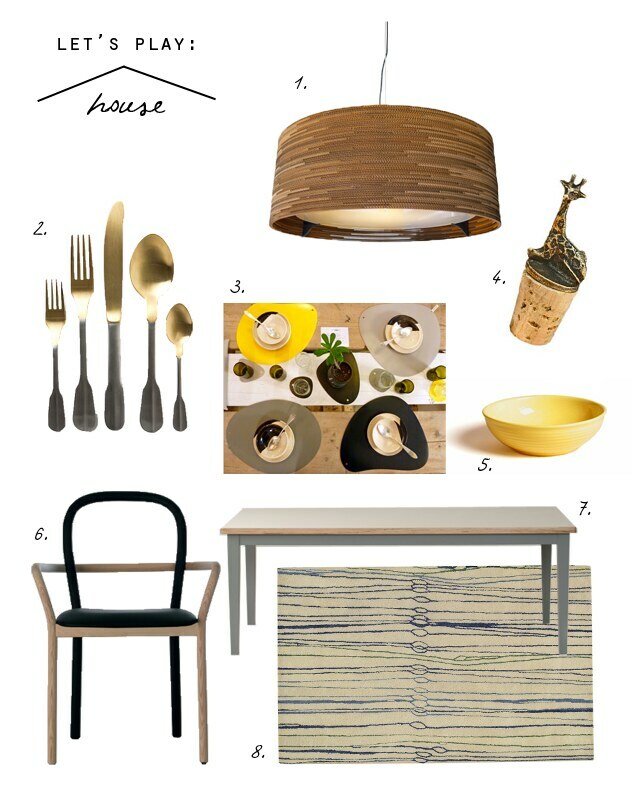 The stacked cardboard lampshade and the playful PVC place settings that resemble blobs of paint (at least they do to me) couldn't be more different but I love them together. I'm so sad that I missed the place settings on sale via Presive.com but I'll find another way to get my hands on them, yes I will. And how cute is that little giraffe wine cork? It's made in South Africa which is extra special since that's where I really fell in love with them, the most majestic animals ever. Elephants and hippos more your thang? They've got you and your wine bottle covered, too. We're off to Singapore today and we've also booked our first beach getaway in Vietnam next month. Needless to say, my travel bug is very happy! I thought this would be the perfect time to introduce a new bi-monthly series called Let's. 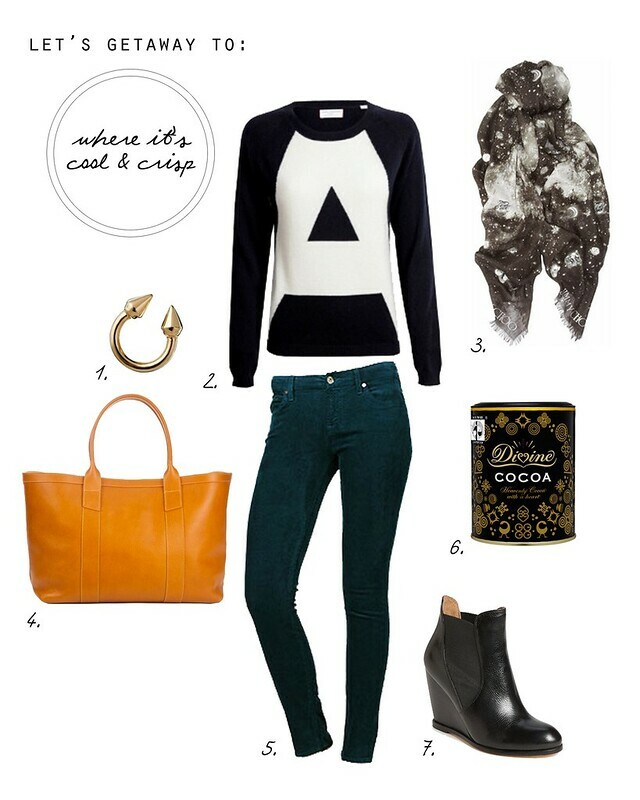 In each Let's Getaway post I'll pick a destination and share what I'd pack if only my wardrobe were so lucky. Next will be Let's Play House that will be all about well, playing house! Since we can only do so much with our temporary living arrangement I figured that I might as well dream a little and share the inspiration along the way. 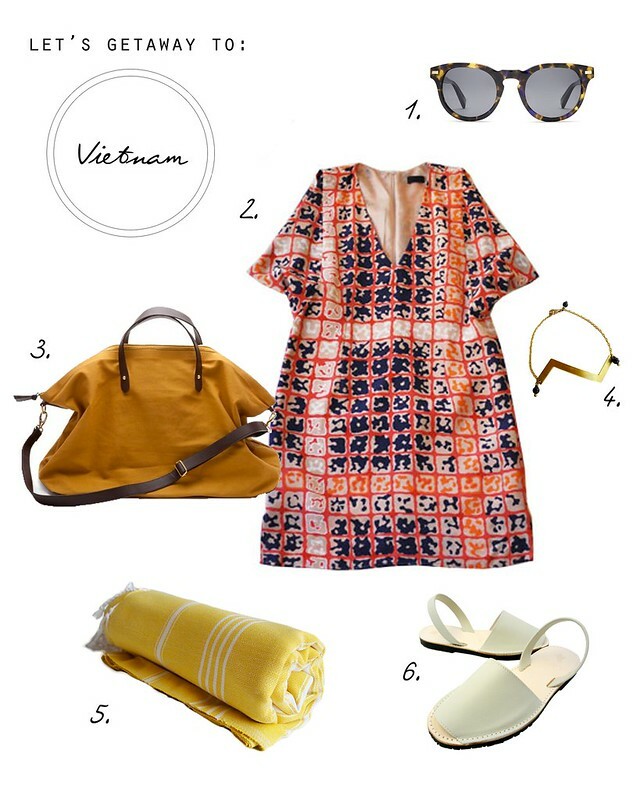 This first getaway is a bit of a cheat since we're actually going to Vietnam but I couldn't resist dreaming up my perfect packing list. That dress - it kills me! Besides curating my favorite things, a goal for the Let's series is to highlight pieces from independent designers or companies that produce locally, use fair trade, are eco-minded and/or practice social ethos within their business models. Of course high-street brands may make an appearance but only if I believe in their quality and longevity beyond seasonal trends. I'm really excited to put my Pinterest and web-window shopping sprees to use. I hope you enjoy it!